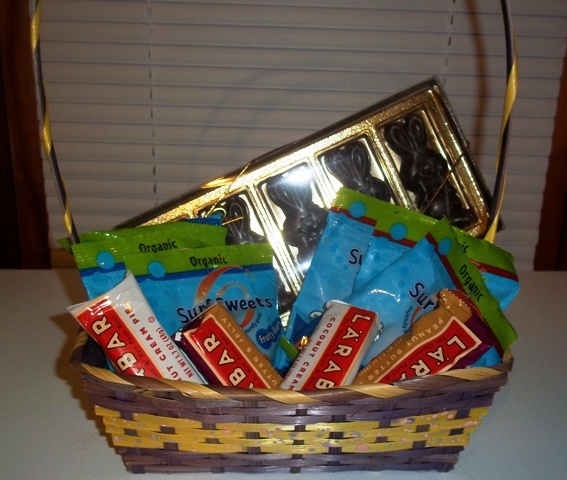 Home Dairy Free What’s In Our Dairy Free, Gluten Free Easter Baskets? This year planning Easter baskets was a bit trickier since they had to have treats that are both dairy free and gluten free. Amanda’s Own Confections Gold Bunny Box — I just found this company this year, and my kids loved the chocolate! They’re each going to get one Gold Bunny Box. If you’d like to order this tasty chocolate for your little ones, hurry because the deadline to make it to your house by Easter is March 23rd. Surf Sweets Gummy Bears & Jelly Beans — The kids love Surf Sweets candies, and I love that not only are the dairy and gluten free, but they also are free of food dyes. I found the candy at my local Whole Foods, but you can go to their website to find locations near you. Larabars: Coconut Cream and Peanut Butter & Jelly — I found these on clearance at Target for .50 each. The kids love Larabars. We will likely also put in a few non-sweet treats like stickers and coloring books. Our kids are limited to one sweet a night, and the portion is small–like 5 Surf Sweets Jelly Beans–so the goodies in this Easter basket will likely last them well into summer. How do you do Easter baskets? What do your kids get? Last year I didn’t want to do as much candy, so they got a chocolate bunny and some little candy, but the main thing was personalized spiderman aprons – they like to cook, combine it with spiderman and those things get lots of use! I got away from the candy pretty quickly. They’re allowed a small treat each night, but I always find myself throwing away candy from the previous “sweet” holiday. I’m just trying to buy less and be smarter about it now.